More than 60 years ago, in a small town of the Marches, region in central Italy fronting on the Adriatic Sea and surrounded by green hills, Giovanni Tartufoli decided to follow his dream. 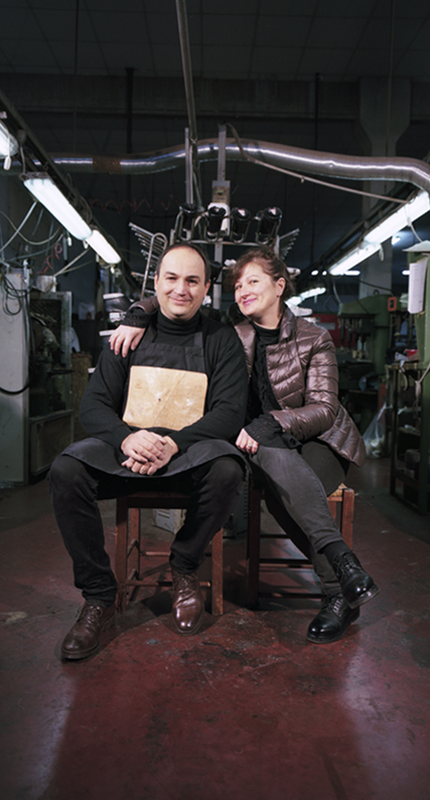 The young boy from Civitanova Marche was barely in his 20’s when he decided to turn his passion for shoemaking into a fulltime job starting up his own business. Giovanni has now passed the baton to his sons Sofia and Giacomo who, with passion and care, spread high standards of quality, good taste and their father’s experience all over the world. KING TARTUFOLI in three words: style, high-quality and comfort. That’s what make us a brand with an international awareness but firmly rooted in our tradition. Every footwear is not just an item, but also a story: our own. Ours is an experimental handicraft that tries new paths never losing sight of tradition and experience. The high quality of materials and the great professionalism of our employees are essential values for us. We are aware of the latest market trends but also certain that beauty and quality are eternal values. Our goal is to create products that can be contemporary and valuable at the same time.